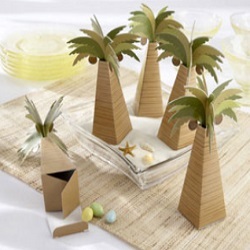 These tropical wedding favors will let your guests take a piece of paradise home with them. 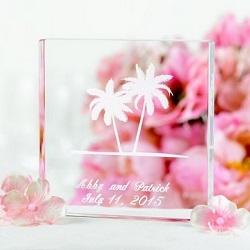 A tropical wedding theme puts your guests in the mood to sink their toes in the sand and surrender to the intoxicating aroma of fresh flowers. 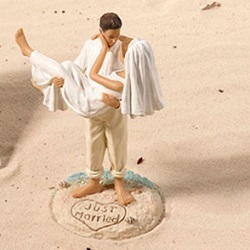 This theme is all about enjoying the sunshine and the brighter things in life, so it is often chosen by brides getting married on the beach. If your tropical wedding reception is indoors, you can incorporate elements of the beach or lush gardens to make your guests feel that they have been transported to a sunny, warm environment. There are thousands of favors that fit this theme, and many of them incorporate these general ideas. Colorful flower leis are a good option, but there are many other options if you want to put a personal touch to your wedding. Following are some of the most popular options available right now for budgets big and small. 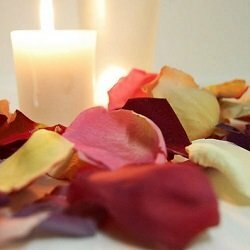 Wedding Cocktail Favors - Give each of your wedding guests a packet of Margarita or Cosmopolitan mix to enjoy as you ride off into the sunset with the love of your life. 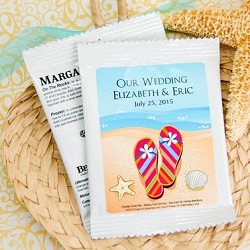 These favors come in single-serving packets that are decorated for the tropical wedding theme and are personalized for your big day. This isn’t a favor that your guests will keep forever, but it is a favor that your adult guests will enjoy. These lemonade mixes are great, too. 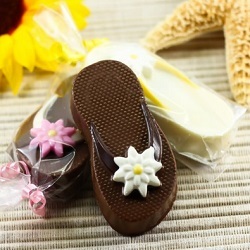 Chocolate-Covered Oreo Flip Flop Favors - Who doesn’t love an Oreo dipped in chocolate? 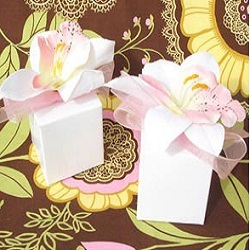 These favors are affordable even for larger weddings, and they are delicious. 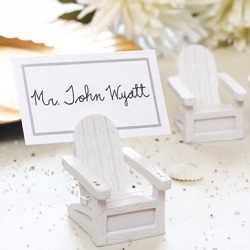 You can even coordinate the favors to your wedding color and theme by selecting a color for the flower on top of the flip flop. Flavor options include chocolate and white chocolate, which allows you to customize the color to your wedding theme even further. If you want to purchase one favor that guests of all ages will enjoy, this is a great option. Beach Themed Cookies (Personalized) - These favors will disappear fast, but they will compliment your theme beautifully while they last. 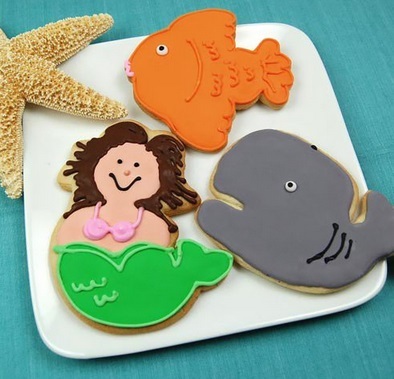 Each cookie is shaped like swimwear or other beach items and decorated with colorful icing. Personalization is the icing on the cookie. 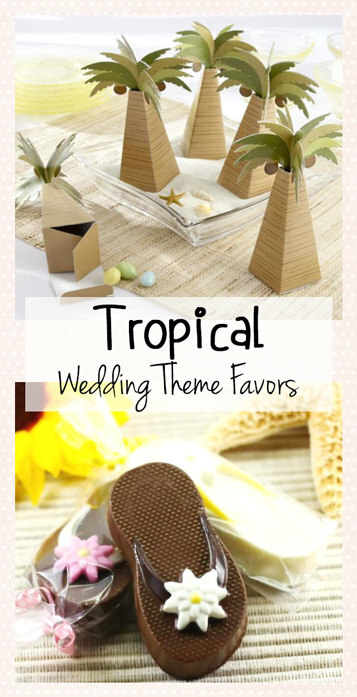 This is not the most affordable tropical wedding favor, but it is a good option if you want something to keep the littlest wedding guests occupied. 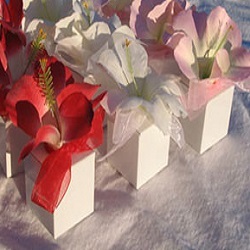 In addition to these wedding favor ideas, consider adding a floral scent to your wedding reception. 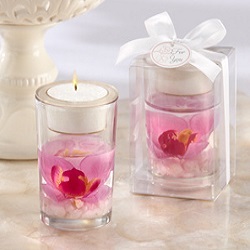 Candle wedding favors in tropical scents are excellent ideas, but don’t forget a candle or two to light during the reception as well.